OMG! This is it! The crazy summer sale we've all been waiting for! 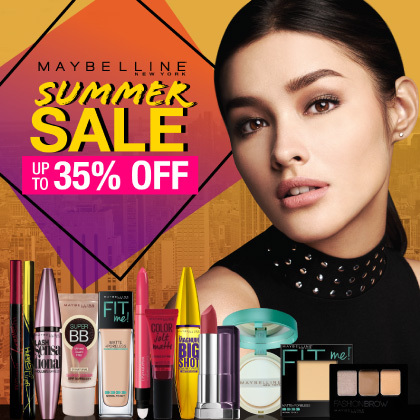 Run to your nearest Maybelline counter to enjoy up to 35% off on all your Maybelline favorites! 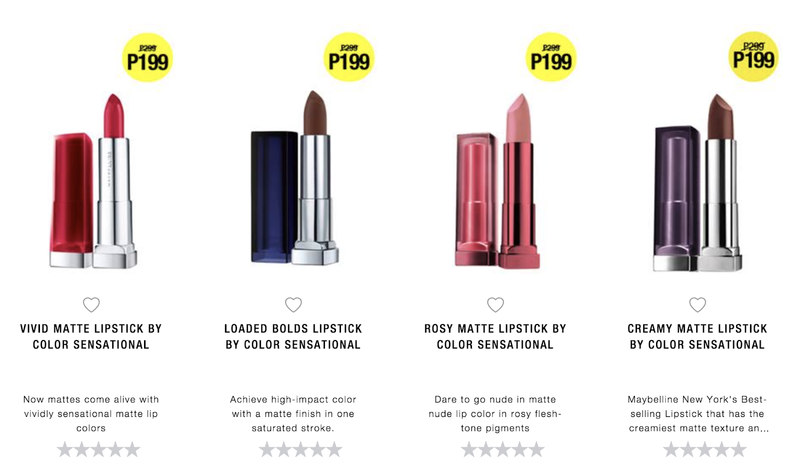 Snag your favorite lipstick lines at discounted rates! 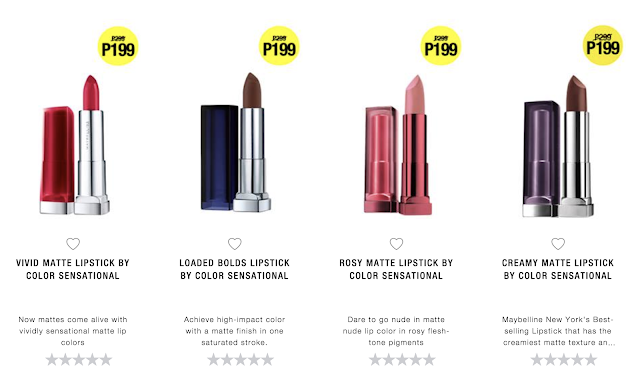 Maybelline's Color Jolt Matte, Creamy Mattes, Lasting Lipsticks, Lip Flush Bitten Lip, Loaded Bolds, Powder Mattes Rebel Bouquet, Rosy Mattes, Vivid Mattes (and so much ore) can be snagged at just Php199 a pop this summer. Lip Gradation is also on sale. Superstay Matte Ink will also have flash sales in selected weekends of April, so be sure to keep your eyes glued to Maybelline's social media pages to make sure you don't miss it. Have light and dewy skin all summer long with Maybelline's BB Cushion that's also on sale from Php749 to Php599! 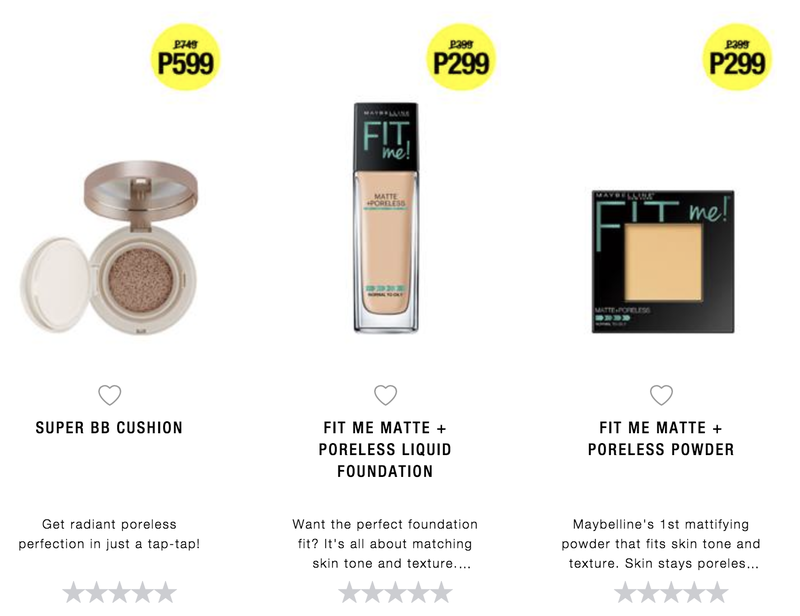 For those looking for face products that can withstand the Philippine summer heat, run to the stores now as Maybelline's Fit Me! line is also discounted! Get the foundation at Php299 (from Php399). Maybelline's Super BB Cream and Age Rewind concealers are also part of this promotion. For those looking for a matte finish this summer, Super BB Fresh Matte cushion and Fit Me foundation sticks are also on sale! Even our eye makeup favorites are also on sale! Eye Studio Hypersharp and Hypersharp Power Black liner are discounted. 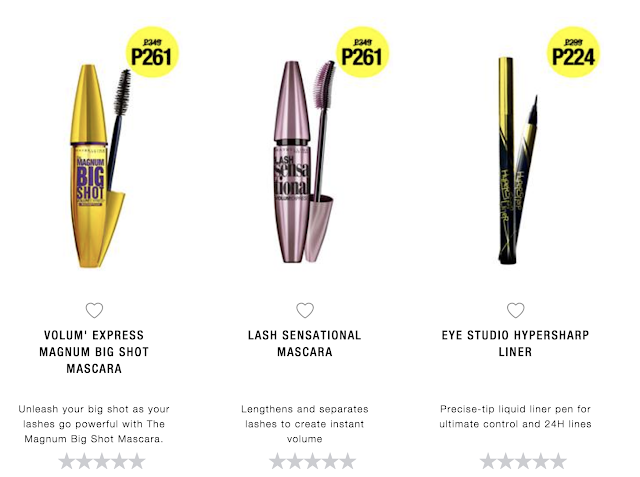 For mascara, Maybelline's Big Shot,lash Sensational, Push Up Angel, and The Falsies are on sale. Fashion Brow palettes and Diamonds Eye Shadow are also on sale. Hurry! Plenty of girls are getting ready to hoard (myself included), so be sure to grab your favorites before they're gone!